PAY LESS FOR ELECTRICITY! 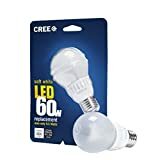 If you use one of the Philips LED 60W light bulbs in place of a typical incandescent one, you will save over $140 dollars for as long as the product lasts. IMMEDIATE LIGHT! There is no waiting time for your light to switch fully on. 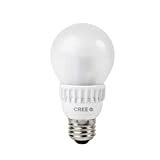 The moment you flip your switch you will enjoy the full brightness of a high quality LED lamp. LASTS LONGER! 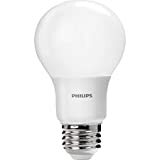 These amazing Philips light bulbs are so high quality that they are expected to last you for 10 years on average. 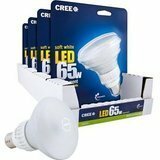 No more changing light bulbs for the next quarter of a century! SAFE AND GREEN! This product is designed to be durable, while also being friendly on the environment. 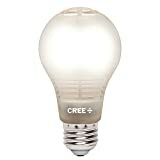 There is no mercury contained in these bulbs, making them perfectly ecological. 100% SATISFACTION GUARANTEE! 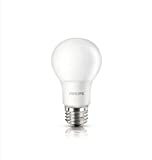 Buy the Philips LED 60W bulbs without any risk involved. If you want you can get a full refund of your money. Check out the amazing offers and get your own 6-pack NOW!